The beer has spoken. With a nice “pop” of the cork, Woodcut No. 2 revealed it is ready to be enjoyed. 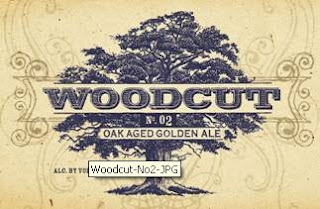 On June 1st, 2009, Odell Brewing will officially release Woodcut No. 2. The oak aged golden ale was brewed on the brewery’s pilot brewing system. It aged for several months in virgin oak barrels, and then bottle conditioned in cork finish, 750 ml bottles. On May 30, 2009, the brewery will preview the beer at SAVOR: an American Craft Beer & Food Experience. Presented by the Brewers Association, this sold out Washington, D.C. event will highlight the sensory delights of beer for over 1,700 beer enthusiasts in attendance. Odell Brewing is a an award winning brewery, nationally and internationally: 2008 North American Beer Awards – gold medal for 5 Barrel Pale Ale. 2008 World Beer Cup® – gold medal for IPA, silver medal for Double Pilsner, silver medal for Cutthroat Porter. 2007 Great American Beer Festival® – gold medal for IPA, silver medal for Easy Street Wheat, bronze medal for Extra Special Red. 2007 Stockholm International Beer Festival – bronze medal for 5 Barrel Pale Ale. 2007 Australian International Beer Awards – silver medal for 90 Shilling, silver medal for Cutthroat Porter, silver medal for Easy Street Wheat and bronze medal for 5 Barrel Pale Ale.